World War 3: China Warns Tokyo Against Modifying Ships to Carry F-35s. BEIJING has issued a stark warning to Tokyo to not go ahead with plans to put F-35 Stealth jets aboard aircraft carriers, claiming the move would “drive the country to repeat its militaristic history”. Tokyo seeks to modernize half of its aging F-15 fleet while replacing the rest with F-35s. 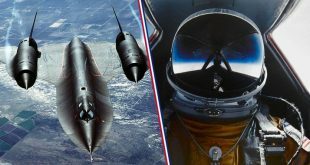 According to Japanese news agency Asahi Shimbun, the plan to buy 100 of the stealth fighter jets was “aspirational” and said that in reality, Tokyo was planning to buy “around 40” of the US produced jets. But a source confirmed to CNN that the expansion will include 100 F-35s – 40 of which are F-35B variants. Since the end of World War II, Japan’s military has functioned as a self defence unit, with the US keeping eye on the once militarised nation following its surrender at the end of conflict on September 2, 1945. 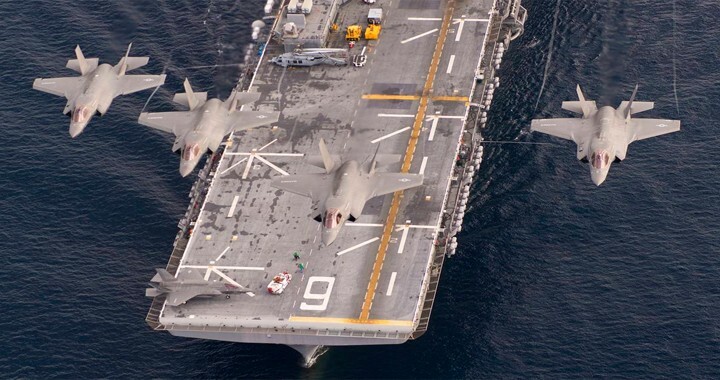 But now a Chinese news agency has reportedly responded to Tokyo’s decision to modify an aircraft carrier – the JS Izumo helicopter carrier – to carry F-35B fighter jets. The fighter planes are said to cost a total of $8.8billion (£6.8billion), with the value of each jet said to be $88million (£68million). The source said the move will mark the first time Japan has harnessed this type of military capability since the end of World War II. On Wednesday, Japanese Defence Minister Takeshi Iwaya told a briefing that Japan wished to acquire a “highly competent fighter jet” and confirmed the defence ministry was working towards modifying 27,000-ton Izumo-class destroyers to carry fighter jets. Japan’s mid-term defence maintenance plan comes up for approval by the cabinet, lead by Prime Minister Shinzo Abe, in December.